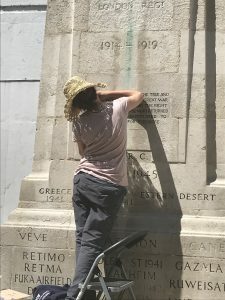 A grade two listed war memorial, honouring the men of the 12th County of London Regiment (known as ‘the Rangers’), who sacrificed their lives in both world wars, has been restored to its former glory as part of Camden Council’s West End Project (WEP). 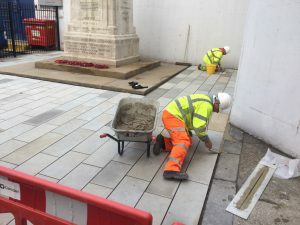 To undertake a series of restoration works to the memorial and its surroundings, the Council worked with Iron Mountain who lease the neighbouring Eisenhower Centre and the charity Just Rifles, a London based military charity providing nationwide support for sick and injured servicemen, veterans, and their families. 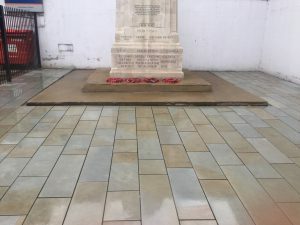 To improve the setting of the war memorial the Council removed a parking bay situated in front of the memorial and laid brand new York Stone paving. Iron Mountain provided new fencing for the memorial while Just Rifles secured vital funding to facilitate specialist work to restore the memorial itself, including remarking all the lettering. 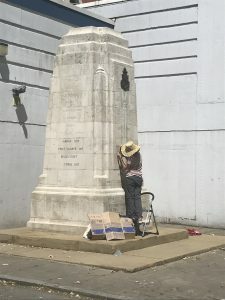 “Just Rifles are delighted to announce completion of restoration work on the Rangers London Regiment 12th Battalion war memorial, through the War Memorials Trust. The Rangers was a volunteer unit of the British Army formed in the 19th Century. They saw extensive action on the Western Front during the First World War, including at the battles of the Somme and Passchendaele. Just Rifles are extremely grateful to Iron Mountain for renewing the railings and to the London Borough of Camden for replacing the York stone. The council have been instrumental in improving the whole area surrounding the memorial. November 2018 marks 100 years since the end of World War I, and timely competition of the memorial was imperative. Just Rifles will be holding special Remembrance weekend events at the memorial to honour the centenary, and those who lost their lives fighting for our freedom. All are invited to and attend remember the fallen. 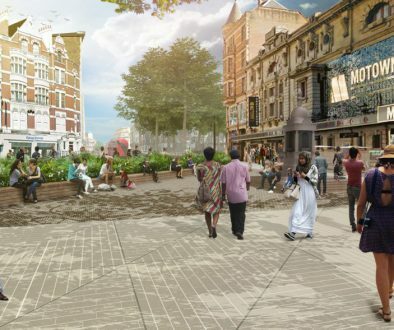 Set to be the largest transformational scheme in the London Borough of Camden, the WEP will change not just how people travel in the Tottenham Court Road area, but how it looks and feels. Issues, which have affected the area for some time, will be addressed, including traffic congestion, a lack of public open space and poor air quality. Enhancement works currently underway include: the creation of new wider pavements across Tottenham Court Road in high quality granite, the historic Grade II listed lamp posts – the very first electric street lighting anywhere in London – undergoing restoration and the creation of a new public plaza around Centre Point. 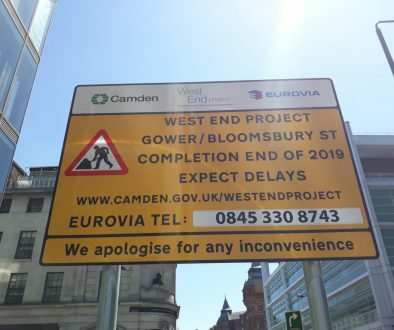 Once completed this will mark a major transformation in the area as Tottenham Court Road and Gower Street/Bloomsbury Street become two way to traffic, improving the area for pedestrians and cyclists, reducing congestion and making bus journeys less confusing. 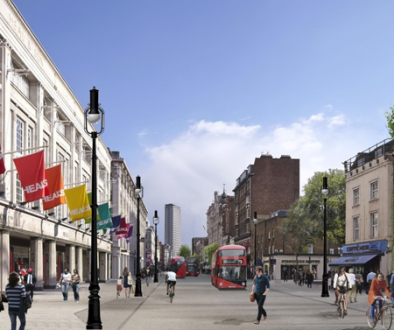 All busses will be moved from Tottenham Court Road, which will be restricted to buses and cyclists only between 8am and 7pm Monday to Saturday.